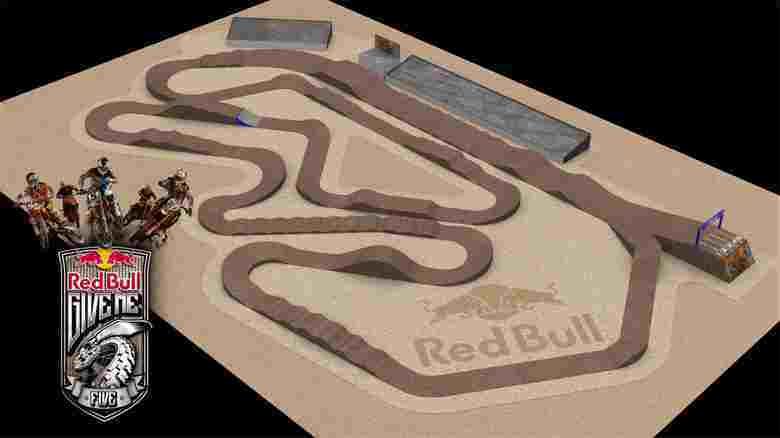 Red Bull Give Me Five will bring the best 15 MX riders in the world to Madrid, Spain, on October 5. The format is unique in its genre: five riders in five-lap rounds. The event starts with the quarter-finals where the participants race in three groups of five riders for five laps. The first three riders of each round will go on to the semi-finals. The rider with the worst lap time will be knocked out and the other five will race again for the last semi-finals spot. In the semi-finals, the ten riders will compete in two groups of five. The first two of each round will go on to the final, with the runner-up with the best lap time advancing as well. The final round features five hot laps with the best riders on the planet. The circuit will be a combination of supercross and motocross features with lines that provide multiple opportunities for overtaking. This will give an advantage to riders such as Dungey, Roczen and Musquin who have experience racing in both disciplines. Ten European youngsters will also compete in their own contest, starting from semi-finals. Again the riders will be racing in two groups of five. The first two of each round will go on to the final, the rider with the worst lap time will be knocked out and the other five will race again. The winner of this round will join the finalists. The final will be a five-lap event with the best five most promising MX riders.